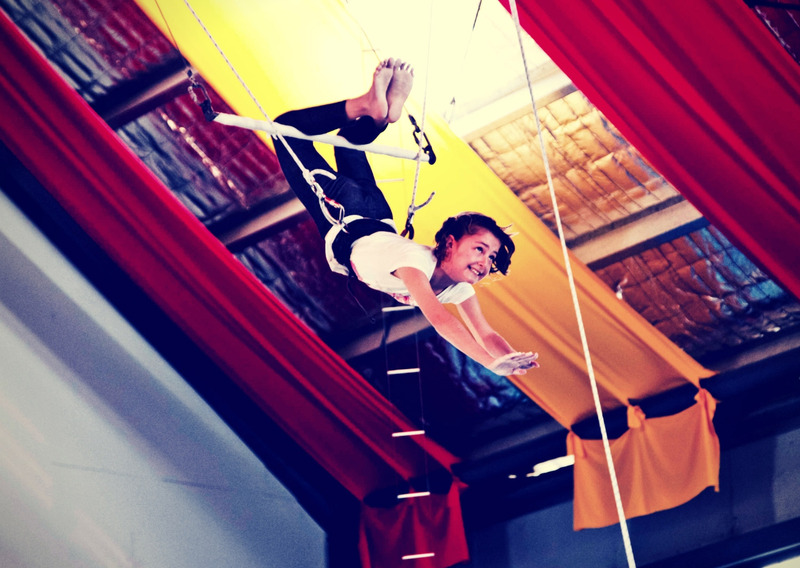 Circus Arts Byron Bay is the place to be during school holidays! This location offers a comprehensive timetable of activities during both the QLD and NSW school holidays including full and half day circus programs, flying trapeze, free balloon twisting workshops, indoor climbing and a kids play space. These school holidays Circus Arts and Ninja Play Byron Bay bring you the regions only Ninja Warrior classes for kids, available for 1/2 day and full day students. 9am – 9.20am: Check in for 9:30am holiday programs. 9.30am – 12pm: Kids circus skills morning session with 15min break for morning tea. 12pm – 12.30pm: Break for lunch – pre-order lunch or check the Circus Arts Cafe Menu. 12.30pm – 2pm: Optional Activities! Flying Trapeze, Activities and Games or Ninja Warrior Kids (some components of the Ninja Warrior kids class are held outdoors, so please provide your child with a hat, sunscreen, bottle of water and sneakers). 1.30pm – 1.50pm: check-in for 2pm holiday sessions (if not attending the morning session). 2pm – 4.30pm: Kids circus skills afternoon session with a 15min break for afternoon tea. 4.30pm – 6pm: Flying trapeze afternoon session (optional). Check out – parents must check out their children after their program has finished. 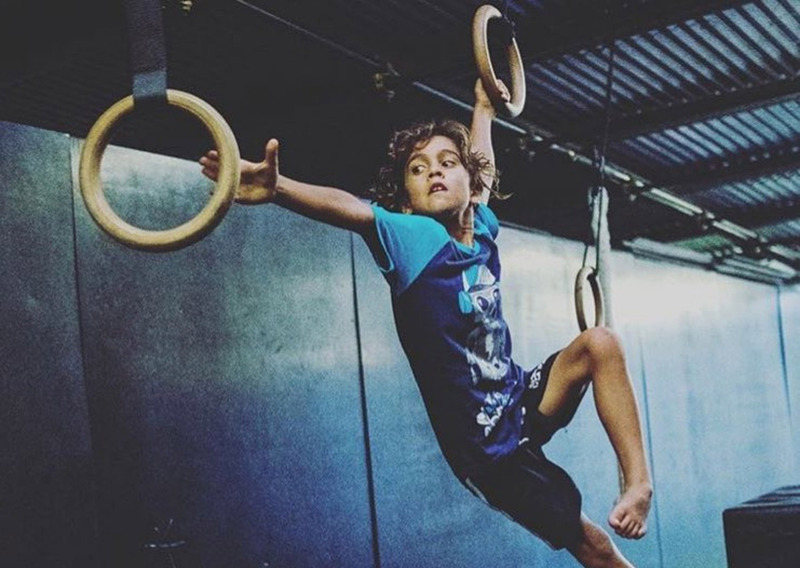 Morning program teaches kids exciting new skills like tight wire, juggling, mini tramp, silks, hula hoops and includes a single turn on our famous flying trapeze (read more about the flying trapeze). MONDAY, WEDNESDAY, FRIDAY afternoons – ‘JUMP!’, with a focus on Olympic size trampoline, double mini trampoline and tumbling. TUESDAY & THURSDAY afternoons – ‘Parkour’, with a focus on Parkour skills, obstacles and acrobatics. Fruit is provided for morning/afternoon tea and is included in all programs. Circus Arts Byron Bay has a full cafe for students and the general public. See the Circus Art Cafe for menu and daily specials. 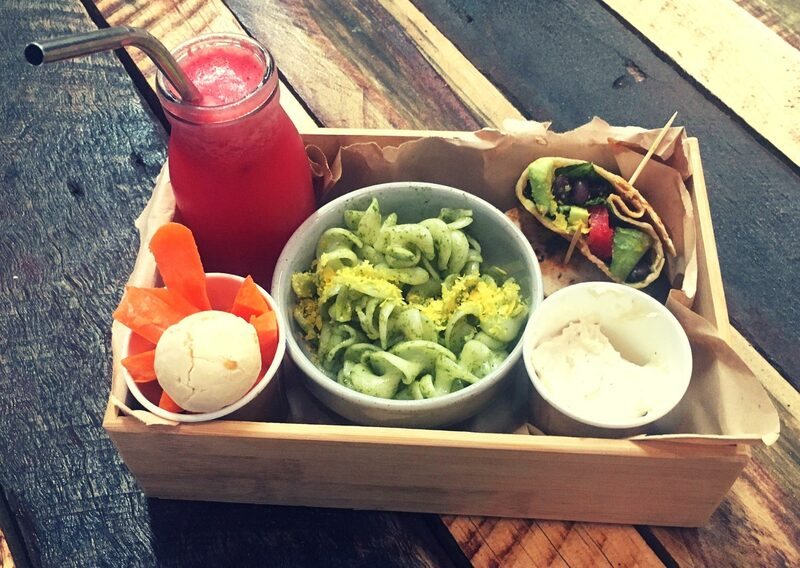 New healthy and delicious Kids Lunch Boxes are available during the school holidays. They are vegan and homemade by our cafe chefs from local fresh produce! A completely vegan lunch box filled with pesto pasta, veggie sticks, cheese bun, banana bread and a freshly squeezed juice. Gluten-free option is available. You can make your selection at the checkout. Available when booking the 1/2 day or full day program. You can make your selection at the checkout. When booking as part of the school holiday program the full 1.5 hour class of Flying Trapeze is discounted from $66 to $44. You can select from two classes that run daily – 12.30pm or 4.30pm.